The following is a quick start guide that we have compiled to enable you to quickly create and dispatch high quality marketing emails. There are many other features embedded within Ezine.ie that we have not detailed in this initial starter guide. We will be adding more information on the more advanced aspects of Ezine.ie over the coming weeks. First create a free account. You will then be brought to this screen where you will need to input your details. When you have successfully registered your details you will see this confirmation screen. When your account is activated you will receive log in details via email. 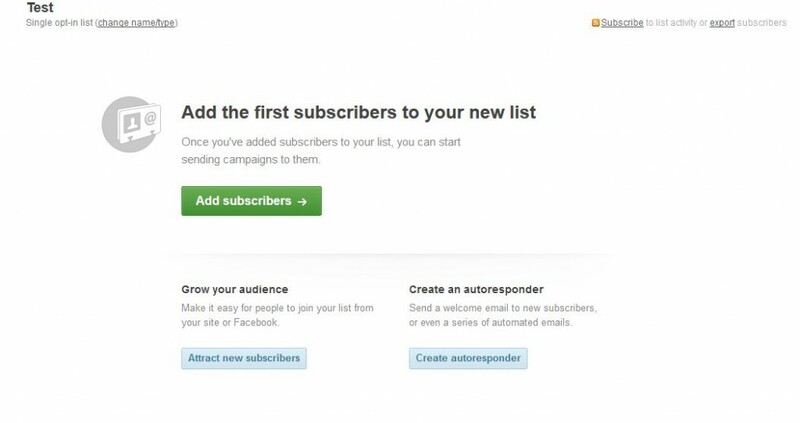 The first thing you then need to do is create a mailing list and import your subscribers. You can name the subscriber list on the below page, and specify list type. After you have named your list, you are then brought to the below screen where you can import your subscriber information. Once you have selected the add subscribers option, you can then import subscribers. If using a word document you can simply copy and paste the subscriber list directly. However we would advise you to create an Excel document and upload them via the indicated path. It is important that each email address you import does not contain any spelling errors, commas or spaces. If you are using an Excel file, it is also vital to ensure that all details are contained on one sheet. After you have successfully imported your subscribers, you will then see the below confirmation screen. 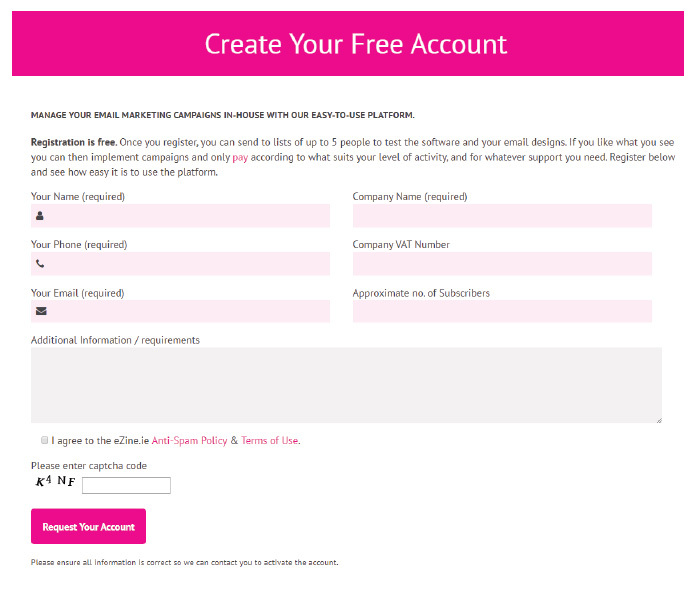 The software within Ezine.ie allows you to create multiple lists of subscribers. 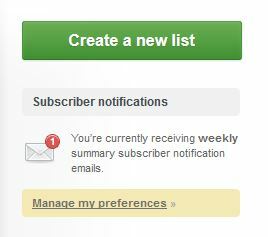 You can manage your email subscribers via the ‘Lists & Subscribers’ page. It is very easy to create more lists, and check how many recipients are within each list that you have created. After you have successfully uploaded the details of your subscribers, you then need to create your email marketing campaign. To start this process you need to click on the below tab. You then need to create a name for your campaign, and also add what content you want to have displayed in the subject line of the email. And you have the option to change who the campaign is from, if for example you operate more than one business. The next stage is to actually create the content that will be displayed in the header and body of the email, and decide what images (if any) you want to use. 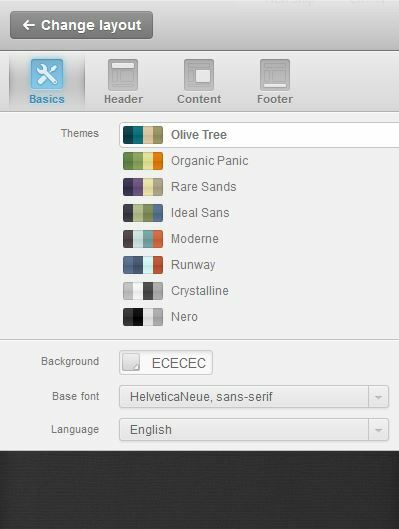 When you get to this page you can choose either to upload your own email template or use our dedicated template builder. We would strongly advise those with limited experience of creating email marketing campaigns to start by using our template builder. You then simply select the layout option that you require. We would recommend selecting the ‘Simple Announcement’ or ‘Basic Newsletter’ template. You should then see the below screen. 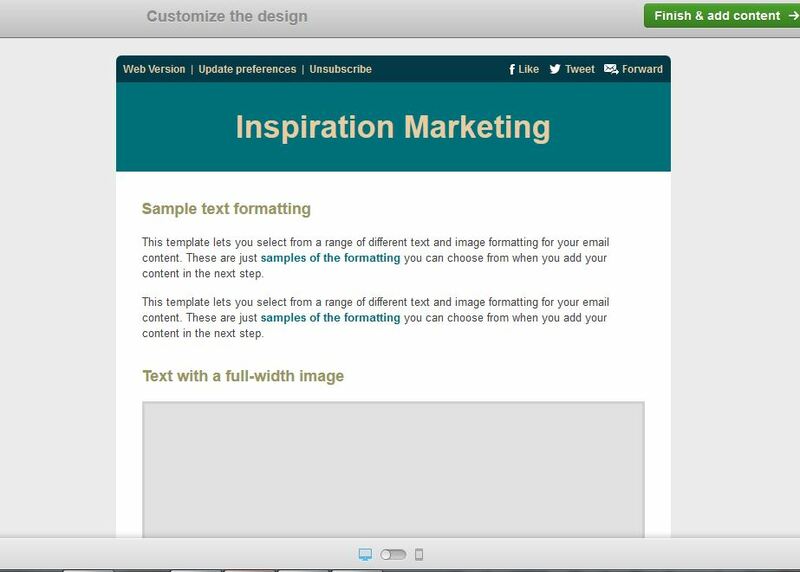 To the left hand side of the main template are the editing tools that you can use to completely customize your email campaign. 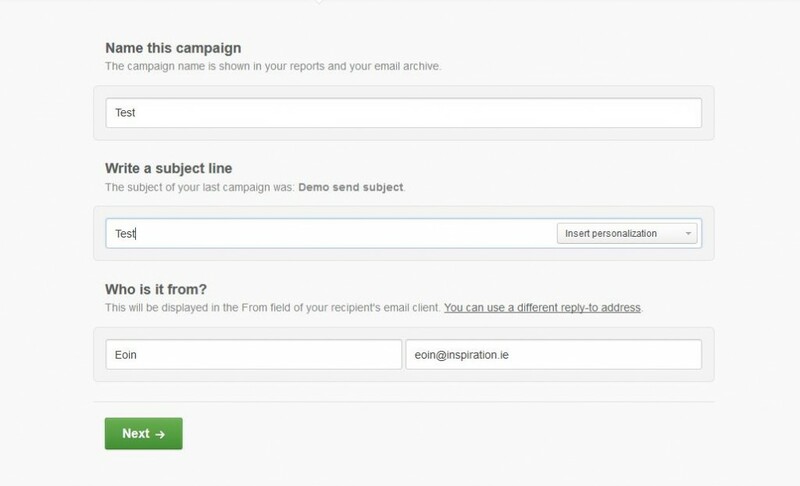 After you have completed the design stage of your email marketing campaign you will then reach this confirmation screen. You will then see this notification page, informing you that your campaign has been queued for immediate delivery. 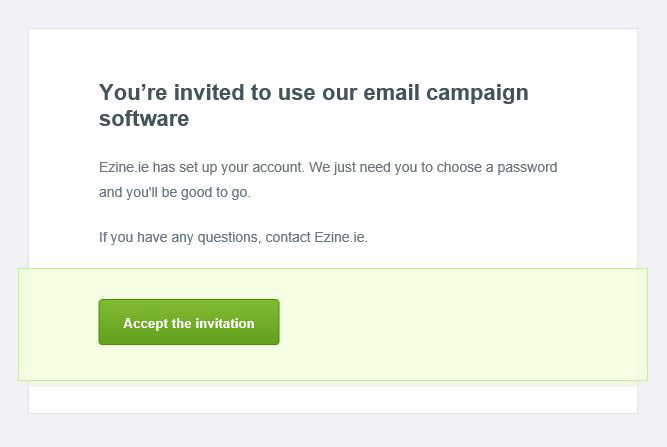 We are very pleased to be able to inform all users of Ezine.ie that we can offer real time email marketing support from our head office which is located in Dun Laoghaire Co. Dublin. We also offer a premium support telephone service that can be purchased in 2 hour blocks. We would strongly advise people with limited experience of creating email marketing campaigns to purchase this additional support. If you have any questions on any of the points we have covered here, or you would like to learn more about this how Ezine.ie can work for your business please do contact us today.